Early morning outside the Diocesan Guest House. The church teacher is part of the organising committee for the water tank. The construction is providing local jobs. Diocesan Secretary, Stephen, with the part buit water tank. It is difficult to exaggerate how grateful people are for the gift of this tank. It is not a final solution to water supply problems for Nyakimanga but it is an unbelievable improvement for them. So a big THANK YOU to all who contributed to the appeal. The dry season without rain is 3 months long. The tank will give at least 2 months supply for the whole village, perhaps more if they are careful! 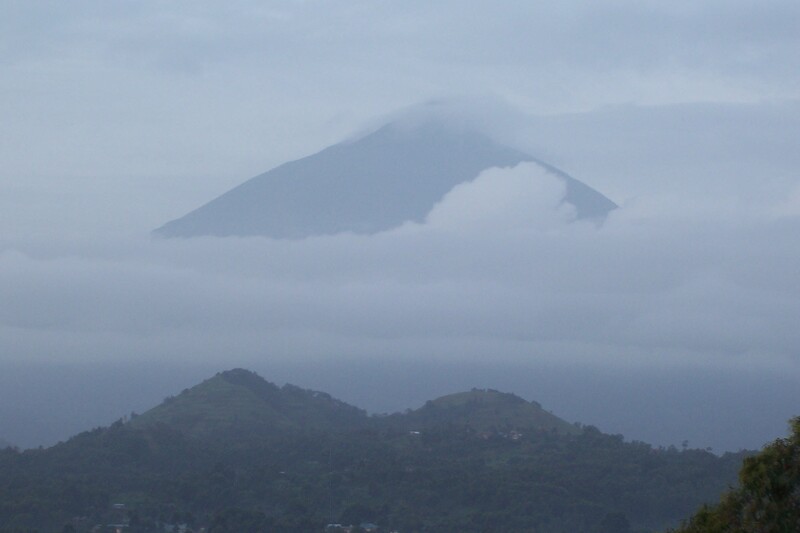 Spent the day in and around Kisoro. First managed to get my mobile phone up and running on the internet. Watched while very fast fingers did something to my phone that I could not follow! Then it was off to Nyakimanga (pronounced Nyachimanga with a hard ‘g’) with Diocesan Secretary, Stephen, to see the water tank which was paid for by St. Martin Droylsden and the Good Shepherd, Ashton. Then travelled out to Nyakimanga (pronounced Nyachimanga with a hard ‘g’) with the diocesan secretary Steven. 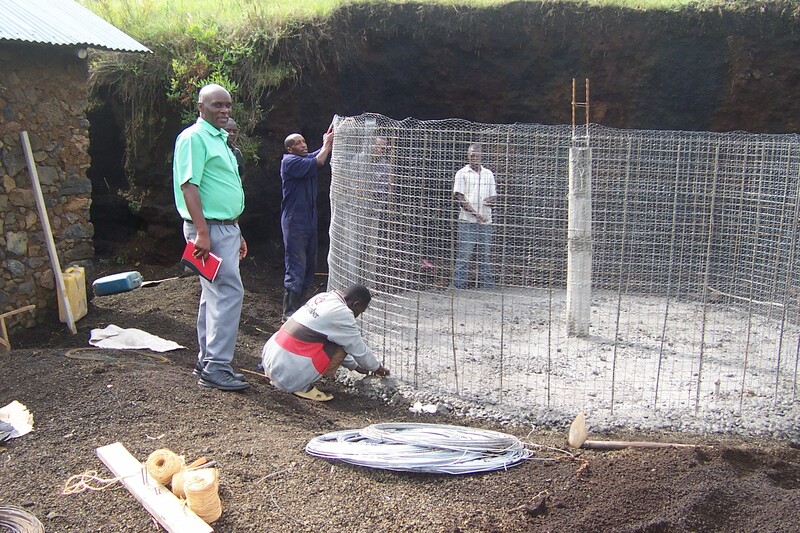 The base for the water tank has been completed, the plumbing is in place and they have started constructing the reinforced concrete walls. Another 10 days or do and the tank will be complete. The roof to the adjacent house has been replaced and new guttering will be added. Once complete +Cranmer will dedicate it. Nyakimanga in the wet season is beautifully green. 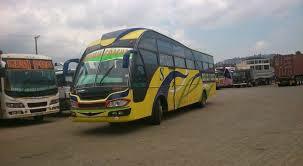 Back in Kisoro, I booked tomorrow’s bus journey to Kampala. I’ll be setting off at 6.30am and will arrive in Kampala just before nightfall. Seems quite exciting provided I get up in time! The journey is of the order of 500 kilometres, they tell me. It costs 25,000 Ug Sh. Sounds rather a lot until you divide by the exchange rate to get it into UK pounds. There are 4250 Ug Sh to 1 pound! The princely sum of £5.88! So, I have bought myself a pair of seats so that I can keep the luggage with me and have a little space! I’ll be travelling on a Bismarkan Bus. Will it be this good? Wait and see! 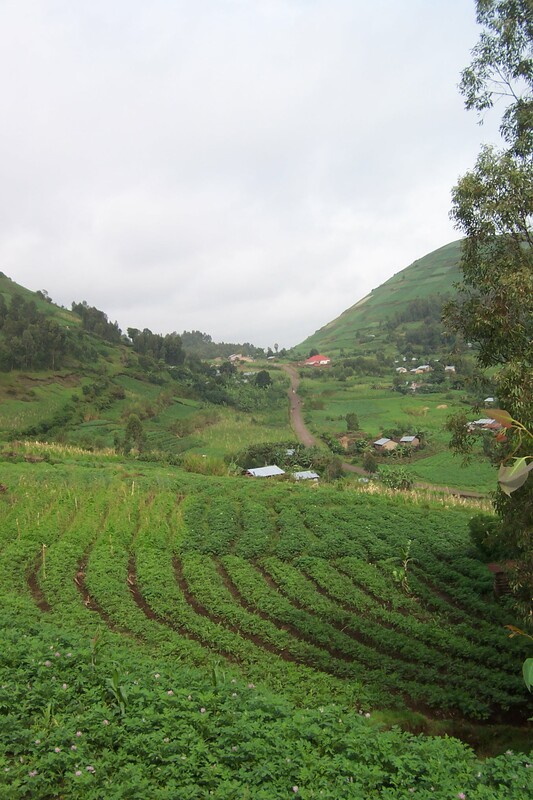 This entry was posted in Uganda on April 15, 2015 by rogerfarnworth. Love the early morning outside the Diocesan guest house photo! Really beautiful! You’ve along journey tomorrow! Bet it’s quite an adventure. Enjoying the Blog Roger. Good to know the water tanks are well on their way to being useful!